One of the most challenging aspects about teaching abroad is the language barrier. I have had to adapt lessons to students who I know going in will only understand a handful of words I say. Much effort goes in to selecting the type of language I will use to explain things I never thought I would need to explain. Due to a lack of resources, I have been trying to teach geography to my lower level Social Studies classes from a book written for young Americans. There are no English textbooks written from the perspective of a Pacific Islander available to our school. This is challenging because the geography of the United States is far different from that in Chuuk. Chuukese have no concept of seasons because the only season here is summer. The only way I could explain snow was by asking if anyone has looked at their freezer when the frost builds up. What!? That stuff falls from the sky? One way to draw students into participating, I have found, is to use their local language. At the beginning of the year, two of my classes of thirty students knew as much English as I knew Chuukese, and while they have made progress, we still struggle to understand each other. Language has challenged Chuukese culture throughout its history. The Germans bought the islands from Spain in 1899, who colonized Micronesia back in the 16th century. The Japanese occupied the Federated States of Micronesia (FSM) from 1914–1945, claiming the islands after World War I. After World War II the United Nations declared Micronesia a Trust Territory, in which the United States would serve as the Security Trustee of the area. The FSM has been under a compact of free association with the U.S. since 1986. These changes of global powers occupying the area have meant a change in language each time. While few elders speak English, they are well-versed in Japanese. I once had a student write to me saying, why should I come and learn English when nobody else in my family speaks it? If I speak it too much, then maybe I will forget my native language and not even be able to talk to them. For the Chuukese, the local language binds them together despite the constant flux of outside influences. I really enjoyed this article. Something about language really fascinates me, and I appreciate your story. The quote at the end you shared from the child who was worried that learning English would take away from their own native language, I have felt that same feeling before. When I was younger, and my father and I traveled to Poland, his home country, I was scared to learn Polish. My grandmother tried to teach me phrases and words in Polish, but I was very reluctant. I was scared learning a new language would somehow make me “less-American”. Looking back on this I know it’s silly, but language is a part of our cultural bloodstream. It’s helps us identify ourselves with one another, and feel united. This was a really cool experience you had, so thank you for sharing! What was your response to this child’s response? This is an incredibly interesting article. I can’t imagine the stress you were under trying to provide eduction in the face of these language barriers. I appreciate your point about language being a form of connection for the Chuukese people. I think it is easy to boil down language to practical utterances, especially in the case of significant language barriers, but to consistently acknowledge the power of language to connect people, and be a central feature of the individual is important. First off I loved the snow story when they couldnt believe that it fell from the sky. My one question for you is how often do you have language lessons? I understand that it would be complicated trying to communicate with your students without the knowledge. It seems like a good experience though best of luck. As a US Citizen, I feel as though we never really have to seriously consider learning a new language because English has become so globalized so it is interesting for me to think about the possibility of forgetting my native language and therefore losing a level communication with my family and the people in my community. The tidbit about the Germans purchasing the islands from the Spanish was also something that amazed me! It is insane to think about how quickly and easily a land and its people can just change ‘hands’ like that. I have always pondered how hard it would be to teach another language to students who don’t know English and you don’t know their native language well either. The story about the snow was awesome! It’s crazy to think that if you learn a new language you could end up forgetting your native language that your family knows. I really enjoyed the story you shared – I believe that language is a large part of who we are as people. The last point made by a student who worries about forgetting their native language is very true (in my eyes). Being Anishinaabe the Ojibwe language in our area is extremely limited with only one living elder able to fluently speak it – while I myself know words here and there. Revitalisation is occurring and more of the community is taking part in learning. Through the exchange of language, people can learn and grow – I hope you truly enjoy your experience. Thank you for sharing. I really enjoyed reading this story due to its interesting perspective. I found it very interesting that you are able to make lessons with only a handful of words that they’ll be able to understand. The snow story was very interesting! I think it is crazy that someone wouldn’t be able to understand what snow is. I thought it was cool that you had to use a freezer to explain what snow is like. Great read…loved the story about snow. It was interesting to read how the languages have changed over the years in Micronesia. Also I’m wondering if there will ever be a native language that they will stick to? Great job. I can see how challenging it would be to teach a class when most of the time both the teacher and the students can barely understand each other. It would be interesting to see the development of the student-teacher relationship throughout the class. I can’t think of a better way of explaining snow than you did! Your post grabbed my attention right away with the struggles of attempting to teach a language to others who do not even speak your own language! One question I have is did you guys ever get to a “common ground” where you could each understand each other, and what did you reply to the student who asked why he should learn this language? I loved your analogy of snow in the freezer– I could just picture the children’s faces lighting up in awe and amazement. Thank you for the interesting read! Teaching English to a culture that has been through so many language changes must have certainly been challenging. Imagine if our culture had gone through the same language changes? The statement you made at the end, “For the Chuukese, the local language binds them together despite the constant flux of outside influences” stuck out to me; a the local people are able to communicate with and understand each other. It’s a bummer that so many different cultures have stepped in creating language barrier problems in such a beautiful sounding place. And I love the snow story. I personally have never lived through a winter without snow so it blows my mind that there are people that don’t know what snow is. Sounds like this is a great learning experience for both you and the students! I think many of us take for granted our easy access to information and we don’t realize that much of the world does not have this privilege. I also cannot fathom living somewhere that does not have seasons. Do they have a wet and dry season? Thanks for sharing your teaching experiences in Micronesia. Its also good to hear that they do not want to give up their native language. Its scary to think about how many languages are dying each year due to globalization. At the same time I believe that English gives people an advantage due to it being the universal language for business. Do you have any thoughts on how to preserve native languages while people are transitioning to learning more dominate languages? This article caught my attention because for one, I had never heard of Micronesia, and the language barrier is relatable for many people who have traveled out of the country. It blows my mind every time I discover there are places in this world I never knew existed because it reminds me how big our world is. I also admire your patience with teaching the Chuukese despite the language barrier. The story about snow was also interesting because I have lived in Minnesota my whole life so snow is inevitable. When thinking about it thought, I realized I have never experienced a hurricane or monsoon which other parts of the world are accustomed to. Thanks for sharing your story. I learned quite a lot about Micronesia in your short article and I had no idea about all the language changes that came with the colonization. What really stuck with me from your article was the letter from your student about why they should learn English. It opened my eyes to the way we as Americans just assume everyone should learn and know English. I could only imagine trying to teach another language.. let alone trying to learn one. I remember my first year of spanish. It was so difficult, and why wouldn’t it be? You’re learning an entire new language, of course its going to be difficult! Also, I thought the way you described snow to the students was great! I would have never thought of that and really, thats probably the best possible way to describe snow to people who have never seen it before! Way to be creative! I can’t imagine not having all four seasons, especially if it’s only one! I know some children from California that think I am from Minnesota, I do not know what summer is! They also didn’t know what a snowbank was even though they may have seen snow in real life, or maybe just on T.V. It would be even harder to try and explain it to someone who had no idea on the concept of snow, though! I also think it’s interesting how the child thought that if they learned how to speak English they would no longer be able to talk to their family. I understand the language barrier. I just took one semester of German, and it was very intimidating. Explaining snow with the freezer was quite creative though! It is amazing though that despite the constant culture and language poking, that Micronesia can still speak Chuukese and keep their native culture alive. Immersing yourself in a new language and culture can be very intimidating and I admire you for that. It’s a shame that there is such a lack of resources to properly teach your students and i can understand that its frustrating. I really like the story you shared about a student wondering why they should learn english, if I were in their shoes i would probably feel the same way. For americans we have the luxury of possibly never even being in a situation where we don’t know the language so thank you for sharing your experience. I find it really interesting that you are student teaching in Micronesia. I think it is really funny your comment about snow. I find it very interesting as a perspective history teacher on your choice of text to use in the classroom. sounds like you had a really good experience, id love to do something like that myself. Crazy the perspectives different people have on the world. It shows the interconnectedness of the world and the lasting effects. I found that the way you told them about snow was very creative and if I was in their shoes I would be in awe to of that kind of thing falling from the sky. I also find it amazing that even though we do not speak each others languages we are still able to communicate in some form and are able to teach others as you have shown. As a white German Minnesotan who had to teach native Spanish speakers about different candidates in a Chicago mayoral race, I feel your pain when it comes to teaching people from a perspective and language they are not used. I realized I was talking from an upper class Caucasian perspective, not an immigrant minority perspective. I applaud you on being able to do that successfully. You did well with not having access to that many resources. I think it is interesting that you note the influence different colonizers have had on the language history of the islands. This makes it hard to really choose a language to learn for many generations other than the local language. The region today is once again becoming an important geo-political region. This is important for the languages again as one language may be pushed by the great powers in the region to spread their influence. The teaching sounds like a fun time and an interesting yet difficult experience! Language is a fundamental part of identity and culture. The language monopoly we experience today is, I think, another form of neo-colonialism. The question your student asked you about why he should learn a foreign language when he has his own is a very important one. In most of Africa for example students are introduced to English, French or other European languages at a young age as a “foreign language”, but as we progress in school this language completely takes over. I am sad to say that I do not even know my own country’s (Ethiopia) history in my native language. Everything is from a European perspective. I see a big problem here that is aiding the dominant ideology pattern that our world seems to be stuck in. It is crazy to me, and this article is a good reminder that there are so many different aspects from different parts of the world. Not all countries or people have or experience what I have. The snow aspect of this article really shows that, because to me snow is a common thing, and to others, some don’t even know what snow is. Overall, this article makes you realize how big the world really is. I had geography back in 9th grade of high school, and while I learned the basics like the names of countries, I was not able to retain it all. This article caught my eye, because I had never heard of Micronesia, or if I had not in great length. It is odd from my perspective to think of an area that is not a large land mass like North America. In my naivety, I have gone as far to ask if people even lived on the various tiny islands on our planet, and if they have political structures. I liked the last part you mentioned about losing a sense of culture. My boyfriend is from the Philippines and with his friends and family they almost always speak in Tagalog, their native language, whether they know English or not. I never understood it at first, but he explained to me that if they did not repeatedly speak it, they would lose a key part of their culture and identity. Similar to your story about the little boy, it puts into context the importance of language. Thanks for sharing! I loved learning geography back in high school. In my free time I would even take quizzes online to test my knowledge of the countries and I remember always forgetting about Micronesia. A country made up of a tiny islands was hard for me to recall. It is nice to hear stories about a place that I bet much of the world forgets or doesn’t even know exists. In a place as isolated as Micronesia it makes sense why they would question learning English when they have their own language and culture. They have been doing fine without our impact and hopefully they can keep it that way! Language is such a beautiful thing. I can kind of relate to the student you had who questioned learning another language. When I was in middle school, I despised other languages because why speak them when the only one I’ll need is English? Those coming to my country should speak that of which we speak, right? However, after learning my second I can’t seem to stop myself from continuing on the journey. I didn’t realize the culture and friends that came along with the languages and the ignorance that I had that I thankfully shook off. My only fear now, though, is that I won’t remember those that I’ve learned after learning another. Thanks for sharing your experience! I find it incredible how much ones location in the world can affect their perceptions. The story of you explaining to one of your students what snow was is especially amusing to hear since I’ve always lived in Minnesota and haven’t ever thought twice about it, other than about how it effects the road conditions. This makes me wonder if there is anything in another part of the world that would cause me to react similar to how your student did about snow. Something else I found very interesting was how you mentioned that few elders know english but many know Japanese. 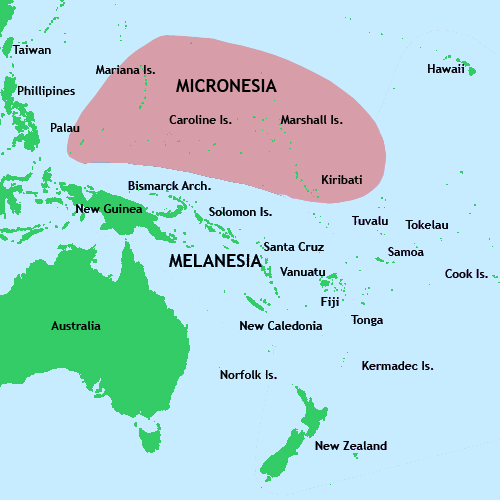 Due to the various foreign influences that Micronesia has experienced from colonization and globalization, what language was most commonly spoken there? And was it common for the people there to know more that one language? I really enjoyed reading this story – this is why I greatly appreciate traveling, as it opens our eyes to the world and gets us out of our little Midwestern bubbles! Some things you mentioned reminded me of points brought up in Tignor’s Worlds Together, Worlds Apart. In chapter 6, the idea of Hellenism is brought up – a Greek-inspired religion and way of life. One of the valued aspects of Hellenism was the idea of a common language that made communication and trade much easier (Tignor et al., 2018, p. 205). In our typical, everyday lives, the people we interact with typically speak the same language as us – sharing the idea of a common language like Hellenism. But, once we decide to escape our bubbles and truly see the world, we are exposed to much more than what we come across everyday. Great post!